Not a whole lot to talk about here. I added quite a few thoughts to Rouge’s scene at the beginning, to help explain her otherwise very confusing thought process. I added the part where she actually uses the key she had found, because for some reason the original game really likes skipping those parts (it happens again later with Knuckles). You may be noticing at this point that I tend to skip quite a few fight scenes, the fight between Tails and Eggman in this case. In general, I find fight scenes to be pretty slow and boring to write, and I can’t imagine they’re a whole lot better to read. Action is something meant to be watched. Even if this wasn’t a factor though, I’m always faced with the serious problem of the fact that I can’t write the characters being hit by missiles and lasers and bullets and spikes, I just can’t. Sure, I could explain that they lose the rings they had collected when this happens, but this would seem like a complete joke placed in the middle of these very serious scenes, ruining the relatively realistic feel that I’m going for. So then it comes down to the individual scene, where I have to ask myself, “What can I get away with having them get hit by, and how can I cleverly explain why they aren’t hit (or are, but aren’t injured) without seeming repetitive?” If the answer to these questions are “nothing, and I can’t,” then I’m forced to skip over the scene, leaving the inferred action up to the reader’s mind. I could probably have gotten away with explaining off the lack of injury for this scene with shields of the mechs or something, but then I would have to show each of the two fighters getting hit with multiple missiles in order to justify the damage that the two mechs had sustained, which would have gotten very boring, very quickly. Whew. Glad I got that off my chest. 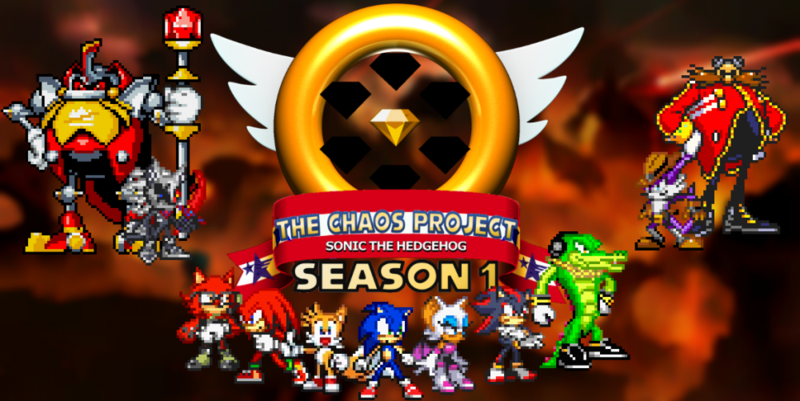 This entry was posted in Cast by the Light, Episode Review and tagged Ivo "Eggman" Robotnik, Knuckles the Echidna, Miles "Tails" Prower, Rouge the Bat by Chaos Project. Bookmark the permalink.